Given the technology, communicating with loved ones can be done with a press of a button, a click, a tap, and a reliable Internet connection. While these can be easier, there are days when you can't help but miss the charm and joy or receiving handwritten letters and postcards. 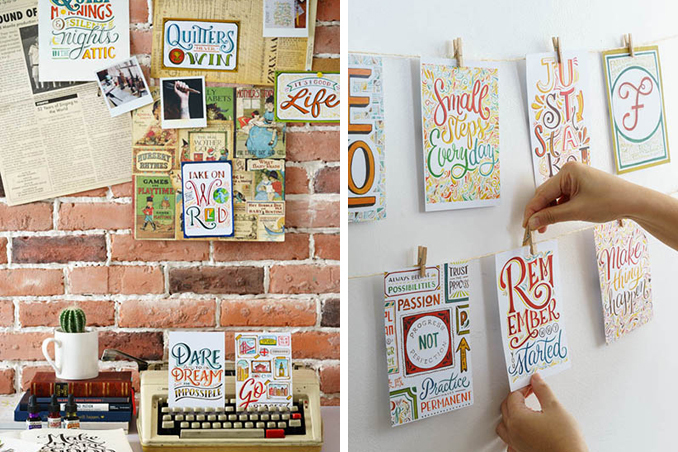 Whether you want to revive the art of writing or you simply want to spruce up blank walls and dull areas at home, a few postcards can do the trick. If you're looking for just the right tools, Summit Books has got you covered with Letters from ABC: 52 Postcards from A to Z, a collection of postcards designed by designer, workshop instructor, creative entrepreneur, and letterer Abbey Sy. The pretty postcards feature quotes representing each letter of the alphabet, with two copies for each design.